A feast of fiction awaits you in our monthly fiction showcase! “If more of us valued food and cheer and song above hoarded gold, it would be a merrier world.” – J.R.R. Tolkien. There’s an abundance of treasures and rich pickings in our December fiction showcase. These include Huia Short Stories 12, a fabulous edition of the Māori fiction collection of short stories now in its twelfth outing, From the Ashes, a tale of friendship and family set in fifties Auckland from Deborah Challinor, TV celebrity Graham Norton’s witty A Keeper and another scintillating Tudor tome from C.J. Sansom called Tombland. So why not enjoy the feast and indulge yourself in a great read! From the ashes / Deborah Challinor. The wych elm / Tana French. Red birds / Mohammed Hanif. Huia short stories 12 : contemporary Māori fiction.Server ErrorYour request could not be completed. “Here are the best short stories and novel extracts from the Pikihuia Awards for Māori writers 2017 as judged by Whiti Hereaka, Paula Morris, Poia Rewi amd Rawinia Higgins. The book contains the stories from the finalists for Best Short Story written in English, Best Short Story written in te reo Māori and Best Novel Extract categories. This writing competition, held every two years, is organised by the Maori Literature Trust and Huia Publishers as a way to promote Māori writers and their work. The awards and the collection of finalists’ fiction celebrate Māori writing and bring new writers to light.” — Provided by publisher. Berta Isla / Javier Marías ; translated by Margaret Jull Costa. 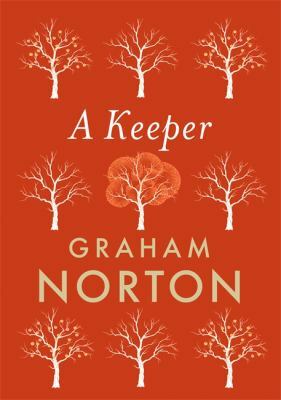 A keeper / Graham Norton.